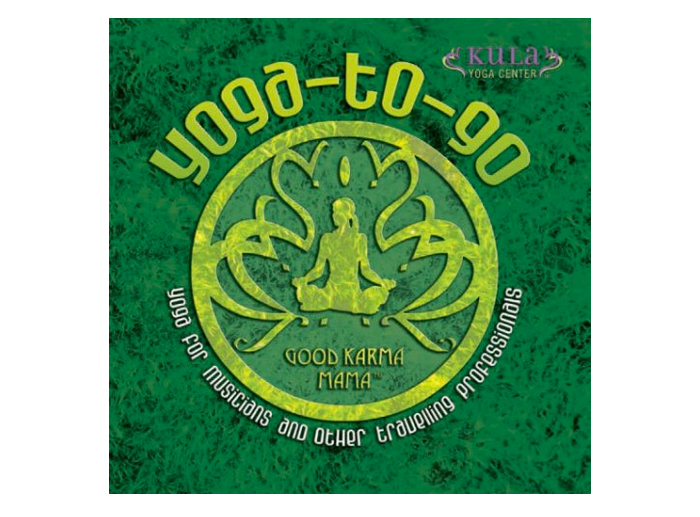 Yoga-To-Go Wendy Colonna (2007) Yoga DVD, CD & Workbook for Musicians & Traveling Professionals. Yoga-To-Go includes detailed instruction and in-depth descriptions of sequence and poses. Perfect for practicing in a hotel room or other small space! Good for beginners, intermediate and advanced yoga practitioners. Musicians and travelers need yoga the most, but are the least likey to find a studio or do yoga in their time-sensitive schedules. Yoga-to-Go is a must-have tool to stay connected to your center, relieve the fatigue and pain of travel, exercise the body and help manage stress. Wendy guides participants through a sequence that can be done in the confines of a bed, in a hotel room or a larger space. And there are also tips for practicing in moving vehicles! Yoga can make the difference between a weary traveler and an energized, focused road warrior. Wendy Colonna is a registered yoga instructor and a successful songwriter and recording artist. Inspired by the challenges of countless performances in cities worldwide, Wendy created Yoga-to-Go with the intention of sharing the practice that keeps her grounded and strong.